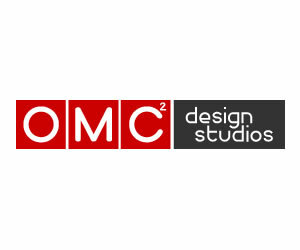 Statistics and Survey results regarding the evaluation methodologies and jury selection of design competitions. 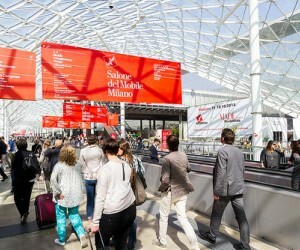 One of the most important elements of design competitions is the jury and the way designs are evaluated, filtered or ranked. 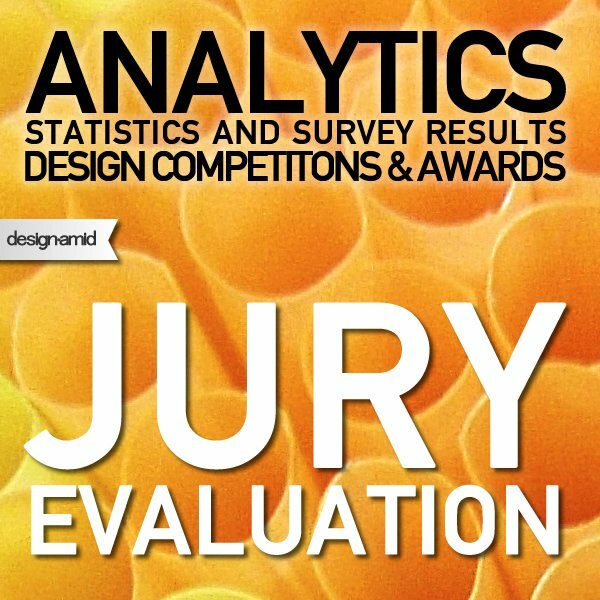 The statistics for jury evaluation on designcompetition.com gives us insights regarding how entries are judged, who judges them or how the selections are made. 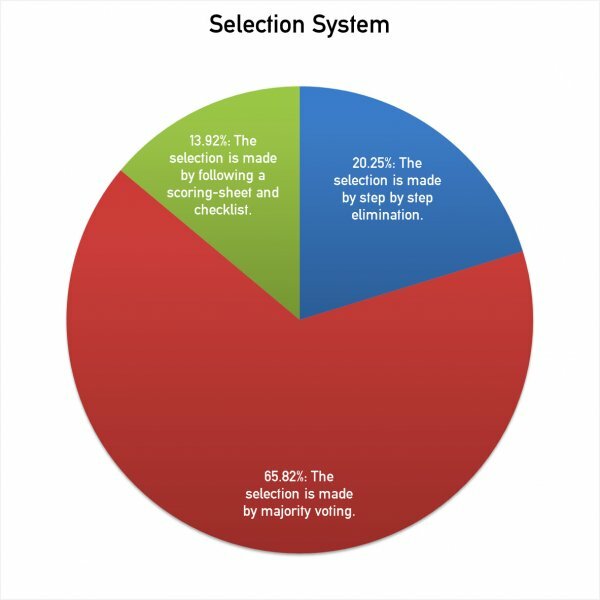 Only less than 15 percent of the 237 competitions that responded to selection system question stated that there indeed is a scoring-sheet and checklist. 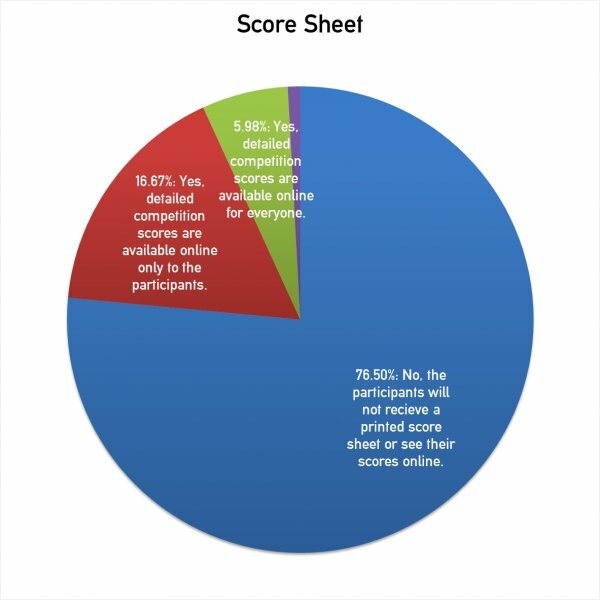 While 85 percent of the competitions do not have a score sheet and the entries are selected based on the professional opinions of the jury members. 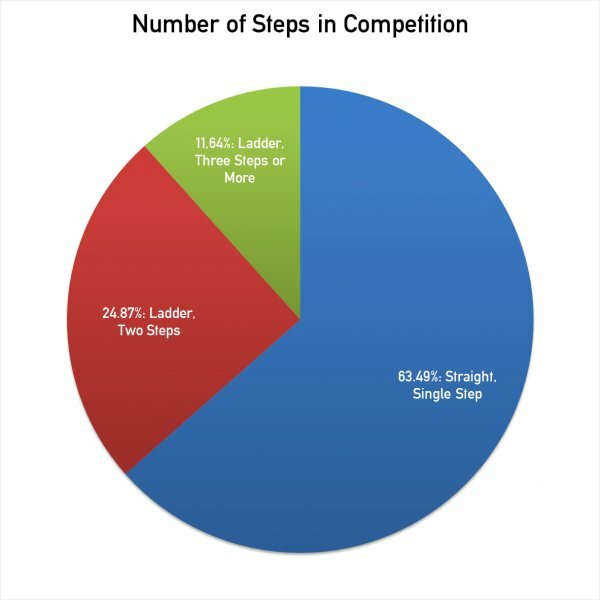 As expected, around 65 percent of the design competitions have single step, a quarter has two-steps, and almost a 12 percent have more than or equal to three steps. Most of the competitions would have an elimination round and a voting round. 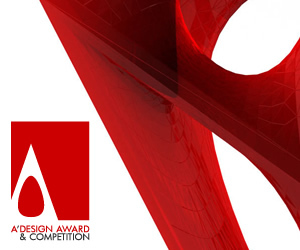 While some competitions such as the A' Design Award has a preliminary round that filters the entries. It is seen that around twenty three percent of the (252) design competitions are evaluated based on public voting; which is indeed showing that designers who join them will not get any solid professional insights. As it was discussed earlier, designers are suggested to stay away from competitions where there is no jury. 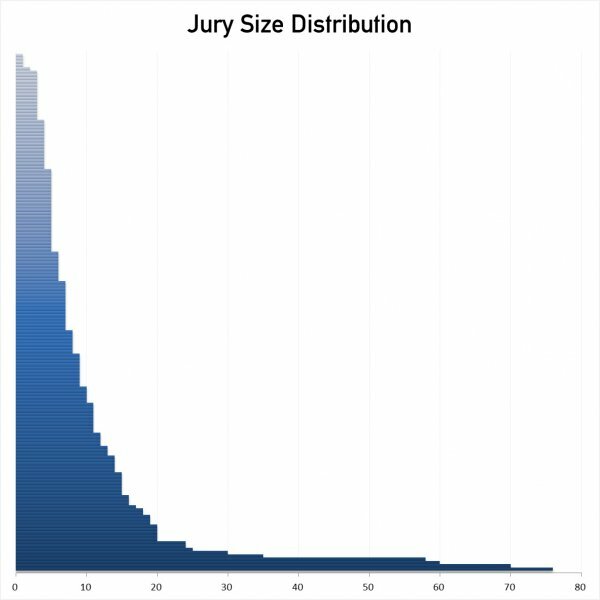 This is a graph that shows the the jury-size distributions of design competitions and awards, the top design awards such has A' Design Award, Red Dot and IF Design competition has more than 25 jury members, government organized competitions has 10 to 20 members, small competitions has less than 10 jury members. 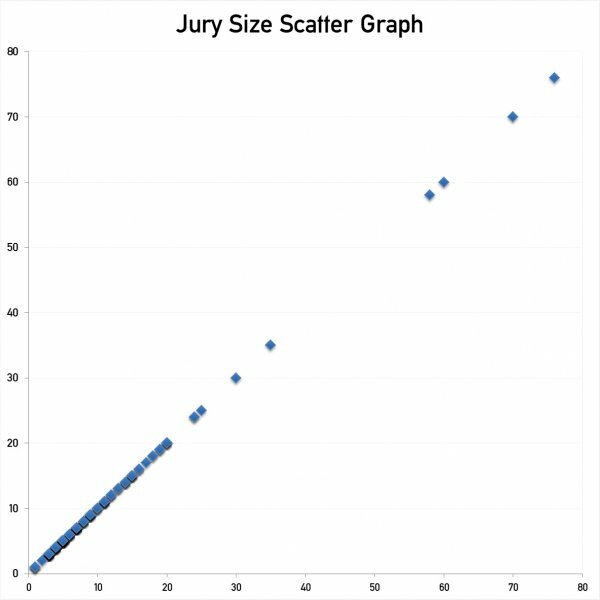 The scatter graph shows that most of the design competitions has less than 20 jury members, but around 75 percent of the competitions has less than 10 members; this indeed hints that 75 percent of the design competitions are not competent enough for prestige generation since a competition with less than 10 jury members would be considered not so prestigious. 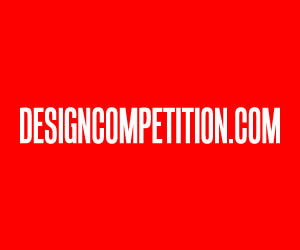 Who judges design competitions? 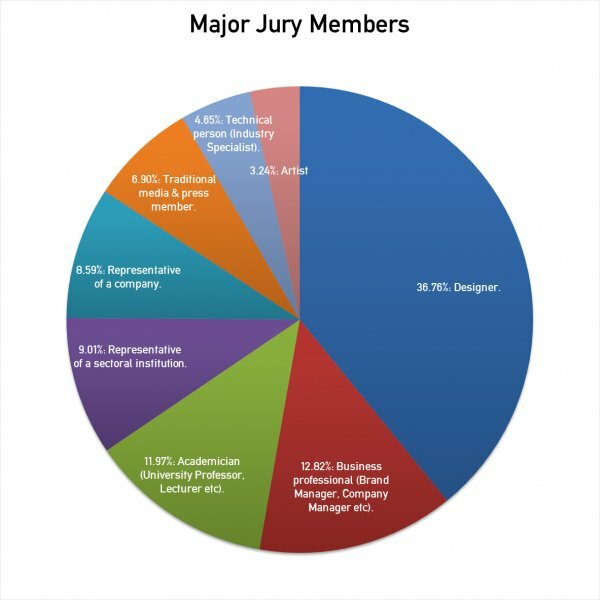 The Major Jury Members graph shows the most common type of jury members in the events. 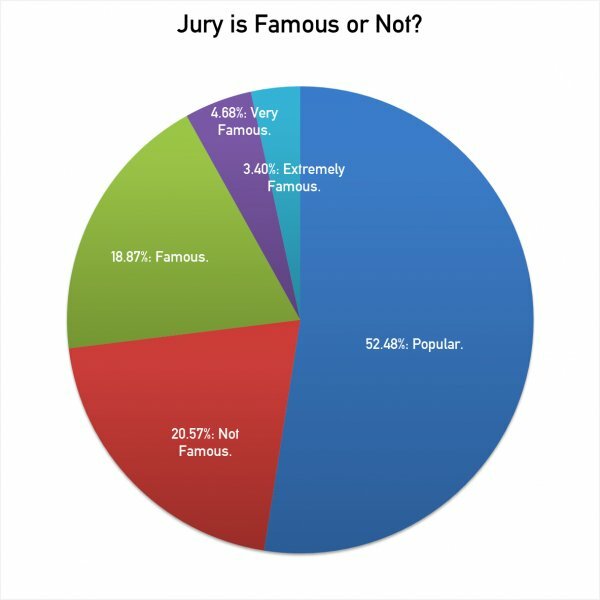 Interesting enough, about thirty six percent of the jury members are themselves designers, around 12 percent business professionals, 12 percent academics, 17 percents are merely representatives, while only less then 7 percent are press members. 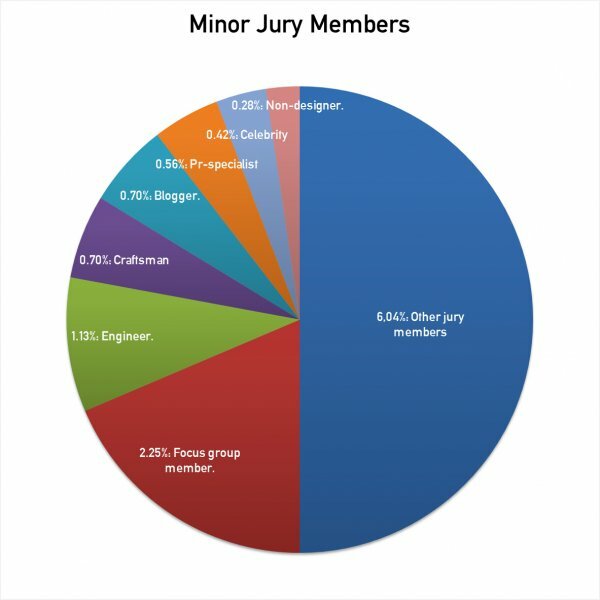 The Minor jury members table shows explains the remaining percentages, interesting to see that engineers, pr-specialists and bloggers do not indeed given enough attention as a jury member. 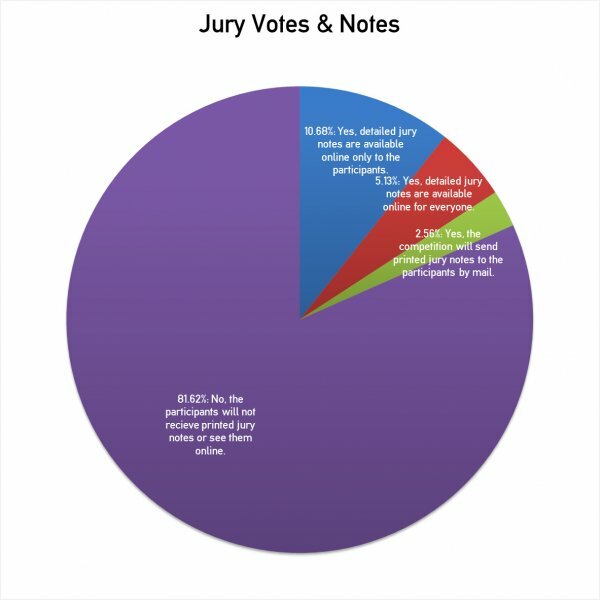 Six percent of the jury members are not defined at all, this hints that there are some potential problems in the system. 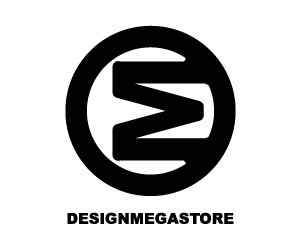 This article was added on Monday, 27th of January, 2014 at 05.44 am by author Onur Cobanli Tags: design competition jury, design competition evaluation, design competition selection. Read our copyright policy here.